This is a must try when you stop by the winery. 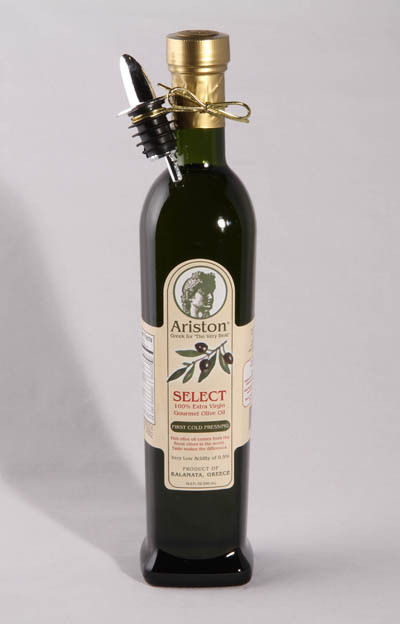 Samples are always available and we offer the olive oil at the lowest possible price! Source/Region: Messinia Region of Greece. Flavor Profile: Smooth, well rounded olive-fruit taste with buttery finish. No acidic aftertaste. Food Pairings/Use: Pairs well with salads, citrus flavors, fish, chicken, pork, drizzle over red meats, vegetables, roasted vegetables,feta cheese, mozzarella cheese any Greek dish, etc. Great as a dipping oil as well.